Ah...the 70's....when fashion trumped workplace safety. 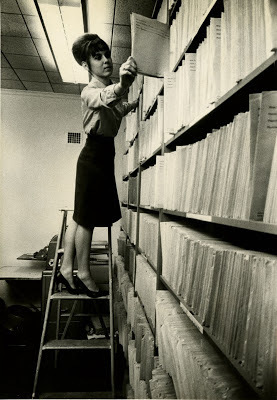 The woman filing medical records is perched precariously on a step-ladder in high heels. One would assume these records are now digital. This photo is one of many in the Story of the Community Medical Center collection.